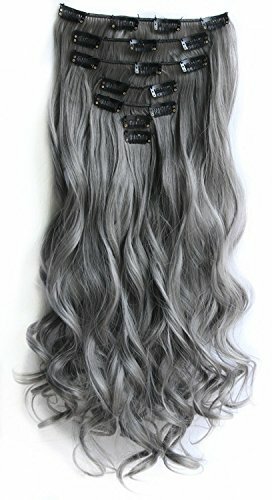 One Piece Hair Extensions with 5 clips (There might be slightly color difference due to different monitor which is unavoidable.) 1. Color:please choose from drop-down menu 2. Material: high quality synthetic fiber 3. 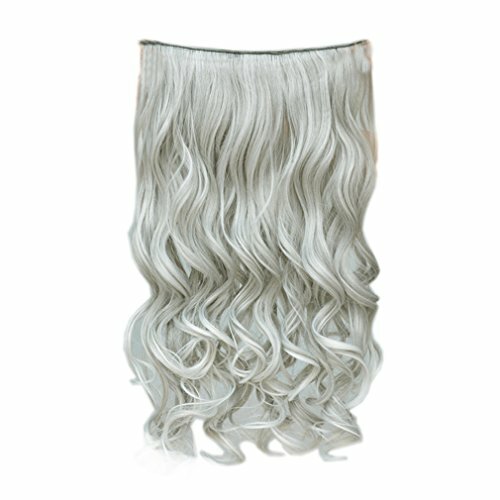 Length: 22 inches / 56 cm, Width:9 inches / 23 cm 4. Weight: 120 grams per piece 5. Clip: 5 clips per piece 6. Usage: one piece used for back of head. 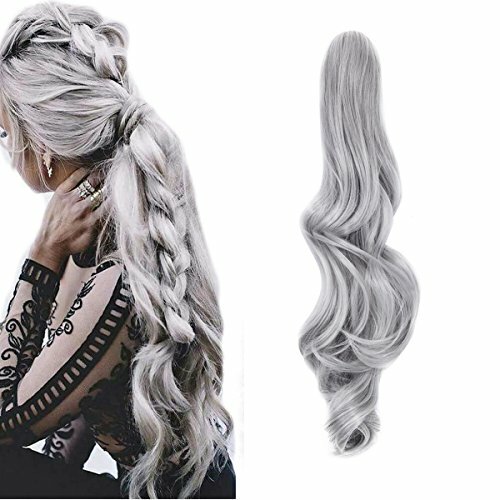 we suggest to buy 2 pieces for more natural look if your hair is extremely thick. 7. Package: 1 piece/ bag 8. 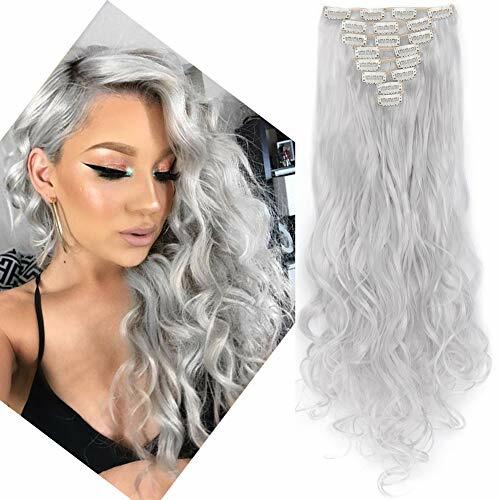 Note: You cannot use heat on or dye these synthetic hair extensions, you can wash it in cold water. It is normal that few of the hair falls out for first-time use. 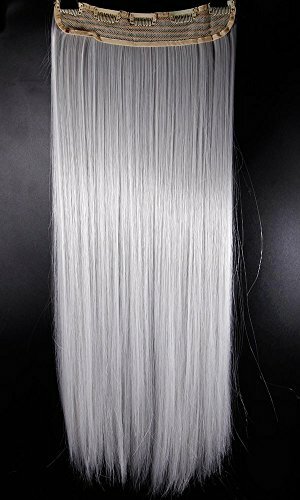 Syntheic hair extensions is a little shiny than real human hair, You can use a little dry shampoo to fix that.9. 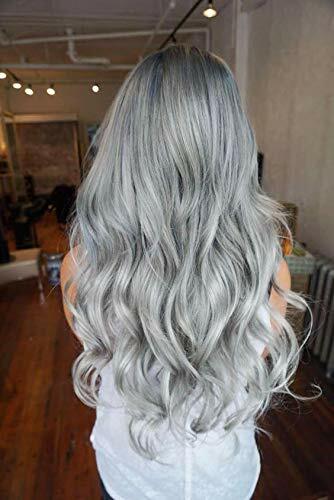 Return policy: please make sure the item is brand-new in its original package without being used if you don't think it is a good color match with your own hair and need to return the item. Otherwise we hold the rights to refuse the return request. Synthetic fiber moves and feels like real human hair. This is Most affordable price and very easy to apply. Several pressure sensitive clips make attaching quick and easy. 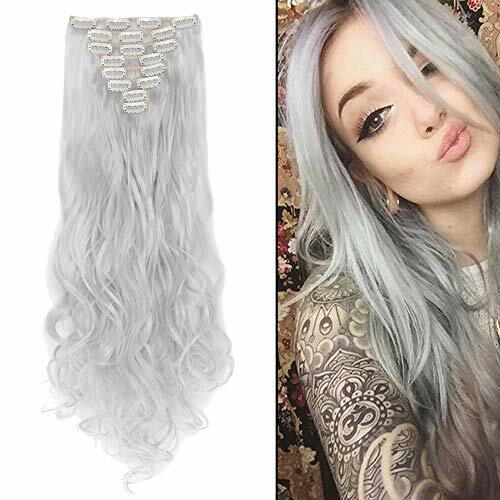 The best hair extension shopping options based on the price compare to real human hair extensions. Also the best choice for short term or entry level using. A set of 7 Pieces: 1 pcs - 8 inch piece (for the back of the head) with 4 clips 2 pcs - 5 inch pieces (for the back of the head) with 3 clips 2 pcs - 3 inch pieces (for the sides of the head) with 2 clips 2 pcs - 1.5 inch pieces (for the sides of the head) with 1 clip Clips opening and closing instructions: With the clip side of the piece facing you, put both thumbs on each side of the clip and the index fingers at the front sides. Snap the clip open by applying pressure toward yourself with the index fingers. Similarly, close the clip by applying pressure away from yourself with the thumbs. Clip in/on hair extension apply instructions: Separate the hair. Using a tail comb or your index fingers, part the hair horizontally from one side of the head to the other. Placement of all clips on your hair. Finishing the look. 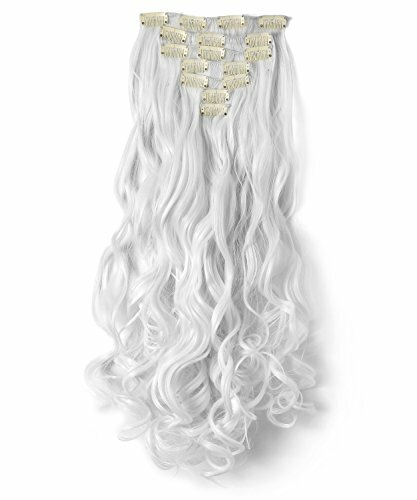 Release all the hair and blend in with Clip-in Extensions.